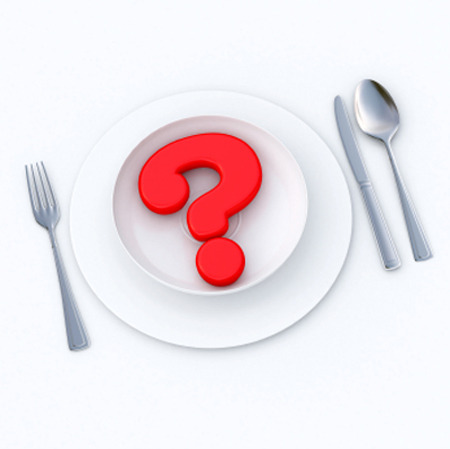 What exactly are the Paleo and Atkins diets? The Atkins diet focuses on reducing your levels of refined carbohydrates and refined sugars and encourages you to consume more protein, fiber, fruits, vegetables, and fats. Many people who adhere to this approach believe that it allows the body to burn more fat while helping them boost their energy and satiety levels. Atkins advocates for you to consume about 50% of your diet from calories derived from fat, 45% from protein and 5% from carbohydrates. Hard-working muscles require the caloric energy that fat provides (fats contain 9 calories per gram, compared with 4 calories per gram in carbohydrates and protein), but fat, itself, can uniquely benefit athletes. Fat’s calorie density, along with your body’s nearly unlimited storage capacity for fat, makes it your largest reserve of energy. One pound of stored fat provides approximately 3,600 calories of energy! Consequently, the Atkins diet focuses primarily on weight loss. The Paleolithic diet (also known as the paleo diet and the caveman diet) follows the presumed eating habits of the human species during the Paleolithic period, which concluded 10,000 years ago with the development of agriculture. This eating regimen is based on a diet of wild plants and animals, including lean, free-range meats, poultry, seafood, fruits, vegetables, and unprocessed foods. How does each plan view carbohydrates? One of the big differences between the Atkins and Paleo diets is that Atkins is low-carb. In the first two weeks of the diet, you consume less than 20 grams of carbohydrates per day, after which you can eat 20-60 grams per day. This is designed to keep your body in a constant state of ketosis, which means that your body burns fat instead of carbs for energy. In the Atkins diet, the goal of ketosis is weight loss, but there also are several potential health downsides, including loss of appetite, bad breath, nausea, and impaired kidney function. While it is common for people to eat a low-carb Paleo diet, the diet does not specifically call for a reduced intake of carbohydrates. Many people on the Paleo diet consume plenty of carbs, since they may opt to eat foods like sweet potatoes and fruits. However, Paleo typically bans starchy staples such as grains, legumes, and potatoes because they were supposedly not a part of the hunter-gatherer diet. Wondering about the difference between the carbohydrates in grains vs. the carbohydrates found in certain fruits and vegetables? All carbohydrates contain simple sugars called monosaccharides. You can find simple sugars in all grains, vegetables, and fruits, although the amount varies among each food. For instance, most fruit and refined grain products contain a large amount of simple sugar, while starchy vegetables tend to contain more complex carbohydrates that include fiber and starch. Simple sugars are much easier to digest than complex carbohydrates and provide a quick source of energy, while complex carbs take longer to digest and provide the body with long, sustained energy. If you are an endurance athlete, keep in mind that you have special nutrition requirements. Your body needs lots of oxygen for extended workouts and races, which is why your rate of breathing increases during exercise. Carbohydrates are one of the best sources of energy due to the efficient way they use oxygen. In fact, they use less oxygen for every kilocalorie of energy produced than fats or proteins, which make them an important food choice for athletes. However, it’s important to note that during intense exercise, you’re not only relying on carbohydrates for energy. For instance, 30-40% of your energy might be coming from fat stores. Carbohydrates, fat, and protein are always used together—which makes a nutrition regimen for athletes a lot more complex than forsaking one type of food in favor of another! Is the quality of the food different between the Atkins and Paleo plans? The Atkins diet focuses more on losing weight than does the Paleo diet, and Atkins doesn’t emphasize increasing the consumption of whole foods. Simply put, a whole food is a food that hasn’t been processed. In nature, fruits and vegetables are perfect whole foods because they contain only one ingredient—themselves. Food manufacturers have created a range of processed low-carb convenience foods, including nutrition bars, baking mixes, and packaged meals, for people following the Atkins diet. In contrast, the Paleo diet heavily emphasizes food quality and avoids all foods that are refined and processed. For instance, meat should ideally be grass-fed and organic because of the additives that are found in conventionally raised beef, while grain-fed, and farmed meat is to be avoided because it didn’t exist prior to concentrated agriculture. What are the drawbacks of each plan? The Paleo diet tends to be expensive and time-consuming. Local and unprocessed foods (especially meats) can unfortunately be very expensive, especially if you don’t often cook. Meats cost more per calorie than grains do; organic and free-range foods can really make a dent in your wallet. Americans already tend to skimp on nutrients in favor of saving money, so if you’re strapped for cash, Paleo might not be the healthiest and most economic option. Additionally, many people view the elimination of grains and legumes as a drawback since these foods are high in carbohydrates and are a good source of energy, especially for athletes. The Atkins diet acknowledges that drastically cutting carbs, especially in the initial phase of the plan, can result in some unpleasant side-effects, including: headache, dizziness, weakness, and fatigue. Additionally, nutritional deficiencies or insufficient fiber intake can result in constipation, diarrhea, and nausea. Many carbohydrate-rich foods, like bananas and oranges, contain important vitamins and minerals. Due to these potentially harmful side-effects, the Atkins diet is not appropriate for everyone. The official website cautions that people who have kidney disease or women who are pregnant or breastfeeding should not follow the diet. Few nutritionists would argue with the Paleo Diet’s emphasis on non-processed foods, fibrous vegetables, and free range animal products, especially since these animals have a fat profile that is superior to their conventionally raised counterparts. For people who are conscious of their environmental footprint, the Paleo diet also encourages the use of local and independently grown foods that require less fossil fuel. In contrast, one of the most lauded benefits of the Atkins plan is weight loss, which often happens very rapidly. Because starchy carbohydrates are restricted by this plan, foods such as alcohol and refined flour products are off the list, thereby eliminating many potentially unhealthy items. While carbohydrates are the main restriction of the diet, the Atkins plan encourages the consumption of protein as the main dietary choice—a dietary pattern that is favored by many Americans. This diet contains a wider variety of acceptable foods than the Paleo plan, which can be beneficial for individuals who find it difficult to afford the locally-grown foods that the Paleo diet lauds. However, only a blood test provide an inside look at what’s going on inside of your body, and only InsideTracker combines blood analysis with personalized nutrition recommendations to achieve optimal levels of biomarkers. With the Food Menu, you can find foods that will fit your needs, so you can achieve all your nutritional, health, and physical goals!